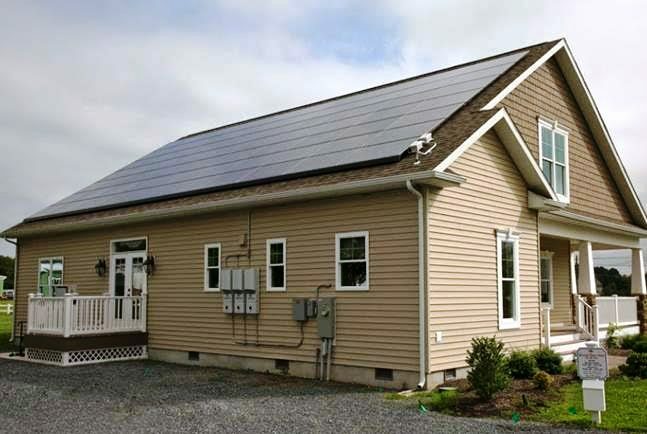 Solar homes, which initially started with production builders on the West Coast, has been adopted by a lot of East Coast modular home builders that are keen to add another avenue of differentiation to help improve upon the value of their homes. 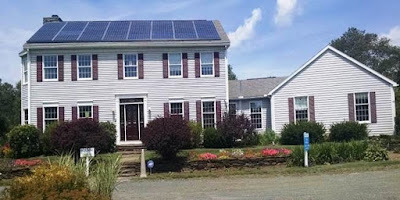 The Home Store of Massachusetts and Beracah Homes of Delaware each have added solar panels to their model homes this month and both companies have begun to include solar energy systems at no cost for their new home buyers. Partnering with Solarcity, the Elon Musk backed solar installer with about a 35% national market share, The Home Store and Berecah Homes customers now receive a no cost solar energy system included with each new home. The equipment, permitting, installation, interconnection and all maintenance and warranty is included at no cost. Home buyers simply purchase the electricity produced by the home at rate that is typically 10-20 % less than the local utility and best of all, guaranteed not increase for 20 years. Modular home builders, who have long touted energy and cost savings as compelling reasons to choose modular, now have another marketing opportunity to add to the value proposition. Modular home buyers benefit from energy efficient and energy secure homes that are not subject to utility rate increases. Further adding value, SolarCity’s sleekmount installation system provides a clean and modern looking solar energy system by removing the bulky racking that panels once set on. Panels sit low to the roof in a sleek modern appearance that enhances the curb appeal for savvy, energy conscious buyers. Giving your customers a solar array at no cost to either you or your customer, being able to market this to prospective new home buyers and giving them another oppotunity to make an appointment should be enough reasons to contact Greg Blair, the Modular Home Builder Manager for SolarCity. Now you know why Solar City is very profitable and positively cleaning up on suckers drawn to the "no money down" mentality so pervasive and problematic for Americans. Hell - if you can't afford it, F'ing Finance It! While I'm a fan of any solar power, you have to ask yourself: why would you give away your roof and your $$$? So I received a call from Greg today. He was not pleased. We sparred and argued the merits of his approach and my approach, and in the end, we parted friends. When pioneers went west and pan-handled gold during the Rush, it was not all flowers and puppy dogs. When black gold was found there were fights aplenty. Solar power is that new destiny, right now. Any opportunity that presents itself on such a wide scale deserves serious scrutiny with a couple of shoulder hits thrown in. SolarCity is moving the bar on climate change and energy independence from the utility companies. They also offer a straight sale that does not commit ones roof for a quarter century. I think SolarCity's lead-in pitch for a no-money-down lease is a bit below the belt, but I respect Greg for entering the ring with a solution that really shakes up the status quo on the monopoly (oligarchy) that power companies hold. He picked up the phone and called me out. I hit back. We're the better for it. This is something you don't see very often in our industry. You can’t break 3% if you don’t spill a little blood and break a little bread.